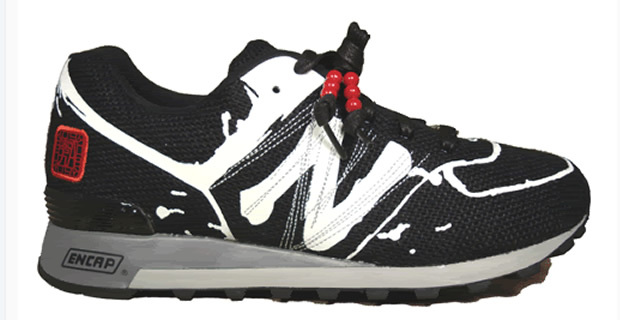 New Balance Trainers – Kitmeout Designer Clothes – Fashion Blog & Fashion Forum. How many pairs of trainers? The thread starts: “how many pairs of trainers do you own? i currently have 14 pairs.” Take a butchers here! And 50 Comments later, ends here: “Both of them are New balance, which has a great synergy with the Yoropiko brand, although not an actual collab like the previous Yoropiko/NB project. I got these for the Black Dragons………”. New Balance and J. Crew, two iconic American brands, join forces on a Made-in-USA sneaker collection for Holiday 2010. Built on New Balance’s legendary 1400 lifestyle silhouette, the New Balance for J. Crew collection was designed, developed and made in New Balance’s Maine factory for the discerning male who appreciates classic styling. The combination of the classic sport styling of New Balance and the clean aesthetic of one of the country’s leading fashion lifestyle brands, J. Crew makes it a perfect collaboration. The collection features two unique colorways of the 1400 sneaker in premium suedes, which were designed in tandem by J. Crew’s Head of Men’s Design, Frank Muytjens and New Balance. The first, a never-before-created navy and the second, a moss green. In addition, the shoes have domestically tanned leathers from premium made-in-USA partners in an on-going effort to support local American manufacturers. The limited edition 1400s will be part of the exclusive line at the J.Crew Men’s Shop at The Liquor Store in Manhattan as well as the new J.Crew Men’s Shop in Copley Plaza, Boston starting early November 2010 and will retail for $130.00. They will also be available online at J.Crew.com and sold in the J. Crew catalog. The Holiday 2010 collection is the first of an ongoing partnership for the two brands. Stay tuned for more on this collaboration in 2011. Boston-based New Balance announces the next collection from the brand’s Partnership Program – The Freedom Trail Collection- designed and developed in tandem with venerable sneaker shop, Concepts, in Cambridge, MA. Featuring two silhouettes from New Balance’s USA team, The Freedom Trail Collection re-introduces the classic 1500 sneaker and launches the first ever 875 boot. Inspired by one of Boston’s most celebrated landmarks, The Freedom Trail, the collection pays homage to the shared importance of historic Boston as both New Balance and Concepts share headquarters in this New England city. With a nod to the Freedom Trail’s red footpath and the brown brick of Boston’s antiquated North End neighborhood, the shoes came to life in premium brown leather and red accents. The 1500 is a heritage New Balance style originally built domestically back in 1989. The 1500 was originally built as a fully-loaded technical running shoe. Specific detail executed solely for Concepts include: full grain leather upper, pigskin leather lining (more luxurious and breathable that a comprable synthetic product), and embossed tongue tag. The 875 is a brand new style launched to the public for the first time via The Freedom Trail Collection. The boot was designed for comfort and durability. 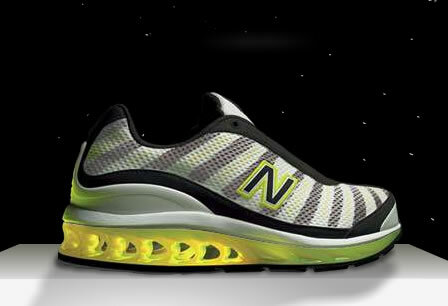 The sole unit includes New Balance Rollbar technology for maximum support and stability. Additionally, NB designers used a PU Wedge in the heel (similar to the wedge that offers superior support in the NB 993) and compression molded EVA in the forefoot. The 875 features a full grain leather upper, pigskin leather lining, and embossed tongue tag. Regarding the introduction of the 875, Luis Navarro, product manager for New Balance Lifestyle stated, “With the increasing popularity of outdoor footwear, we saw the opportunity for New Balance to tap into the brand’s trail heritage with the introduction of the 875. Featuring proprietary New Balance trail technology including Rollbar, the 875 is a fully functional trail boot dressed up in the most premium of materials.” Navarro continued, “As a brand, we have a strong heritage in trail and we have a strong position if we play to that heritage and leverage our background and experience in this category. The 460 launched in spring 2009 to overwhelming reviews. The next incarnation in women’s lifestyle sneakers, the 460 is the perfect balance where sport meets fashion, comfort co-exists with style and no detail has been spared. Featuring textured mesh uppers the 460 boasts trendy colors and contrast stitching. This collection features a kaleidoscope insert and collar lining detail. Each pair has a unique kaleidoscope tongue label. The 460 Kaleidoscope collection will be available in four colorways: white/pink/purple, white/coral/teal, navy/beige/red and grey/pink and will retail for $65.00. The history of New Balance begins at the beginning of the 20th Century in Cambridge, Massachusetts. New balance had made its duty to help humans with foot problems, they improved the fitting of the shoes. Inserts and shoes on prescription remained to 1961 the cornerstone of the enterprise, until the “Trackster” , was brought out. The worldwide first running shoe with score-sole, which was available also in several different widths. During the 60s the reputation of New Balance grew as an innovatively producing enterprise by mouth propaganda. When Jim Davis bought the enterprise on the day of the Bosten Marathon of 1972, he committed himself to the original virtue of the enterprise: Good fitting of the shoes, achievement and production. The New Balance Topmodells: 1500, 860, 576 and 801 (New in 2007) are still hand-made in England. Materials of highest quality are main part of the new collection independent whether in the Far East or in England produced. Worth mentioning are also the new acquisitions: 801,872 and 782 from the Trailrange. 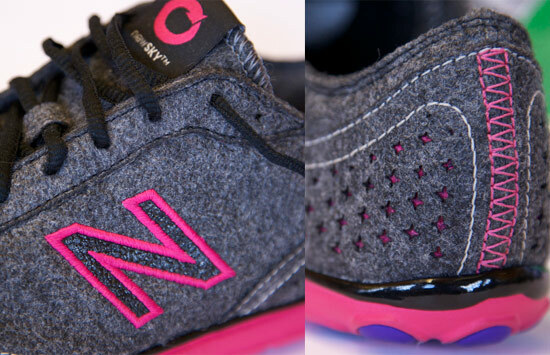 In 2007 New Balance will have the 576, 860 and 574 as women styles.